The BinMaster 3DLevelScanner offers non-contact, dust-penetrating technology to measure the level and volume of powders and bulk solids in bins, tanks and silos. It provides a high level of accuracy as it measures multiple points in the vessel and creates an optional 3D visualization of the material surface. BinMaster offers continuous level inventory management systems including SmartBob, the non-contact 3D LevelScanner, SmartSonic ultrasonic and Smartwave radar devices. Point level indicators include rotaries, capacitance probes, vibrating rods, pressure and tilt switches. 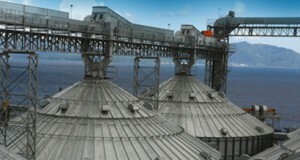 Other products include dust & flow detection, plus aeration devices. Sensors are applied in powders, bulk solids & liquid materials for the feed, seed, & grain, bioenergy, food, plastics, pulp & paper, power, mining, and concrete industries. Established 1953, BinMaster is ISO 9001:2008 certified. We are interested on becoming a provider of the BinMaster. We are an inventory calculation company for stockpiles. We use drones and proprietary software (with a powerful algorithm) to calculate inventory in the mining business. We have been getting calls from companies that need to measure inventory inside warehouses. Of course, we cannot do it because flying a drone inside a warehouse is too risky. I think we could work something out together. If youÂ´re interested, IÂ´ll be happy to schedule a video meeting.